« Five More Minutes Special – Star Wars SPOILERS! Final Six – All cleaned up! 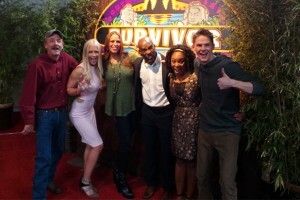 This entry was posted on Sunday, December 20th, 2015 at 1:29 pm by Christiana and is filed under Non-Fiction, podcasts, Talking About Survivor. You can follow any responses to this entry through the RSS 2.0 feed. You can leave a response, or trackback from your own site. I like your Final Six photo! Thanks for another great season of your podcast. #3. It’s a f*cking stick! P.S. Looking forward to hearing you Movie Talk with D&D Star Wars Podcast!